Heat 2-3 tsp oil in a pan or kadhai. Tamper mustard seeds. Add black gram and bengal gram. Saute a while. Add curry leaves and broken red chilies. Saute a while. 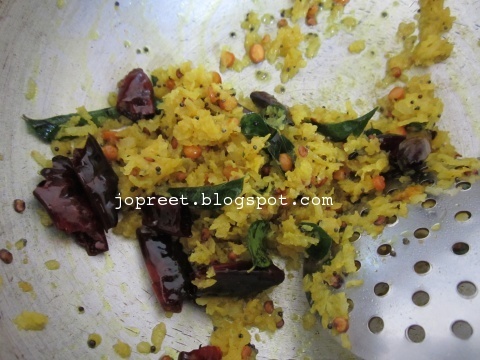 Add grated amla and turmeric powder. Mix well. Add salt to taste and cook for 2-5 mins. Add cooked rice to this paste and mix well. You can also garnish with chopped coriander. Serve with pickle or any veg/non-veg side-dish. VEry nice dear, I miss nellikai. 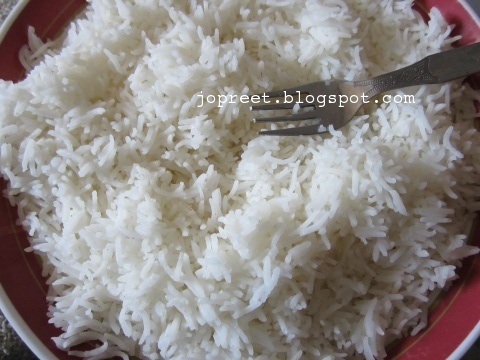 A very healthy rice…. never had this idea 🙂 i always go for pachadi ! 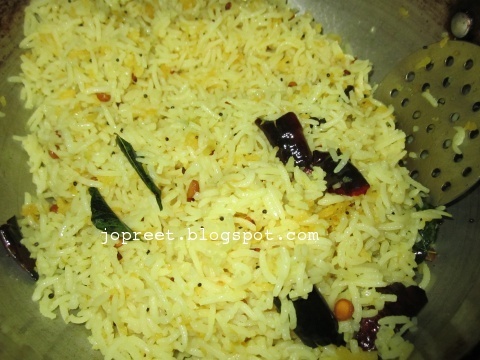 Very interesting and healthy rice dish…yummy and delicious. Will definitely tickle my tastebuds, fantastic rice. Never made rice with amla. It is a souring agent, but never occurred to me to do so !